Visiting Whitby and looking for a great place for tea time? Look no further. 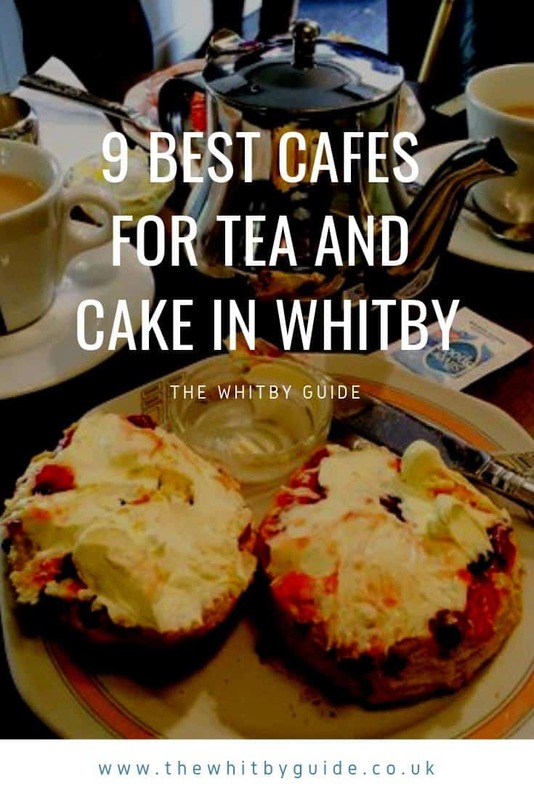 We have compiled a list of the best cafés in town where you can enjoy scrumptious cakes and delicious cuppa in lovely Whitby. A little gem tucked away in Silver Street, Rusty Shears Vintage Tea Shop is a must stop place for lunch, tea or even dinner. You will enjoy the picturesque and charming décor of Rusty Shears while enjoying a vast menu featuring seasonal, locally-sourced produce. Try one of their homemade soups, or fresh sandwiches or perhaps you feel like sharing a board. But if you drop by for tea, you are in for a treat as the cake and tea selection is huge. Know that you can always pop by for drinks as well, as Rusty Shears has an extensive offer of no less than 100 gins to choose from. The Whitby Deli, a lovely deli and café in the heart of Whitby, is one of the best spots in Whitby where you can sample local delicacies and produce. Filled to the brims with fresh meats, cheeses, preserves and jams, the Deli is also an excellent place to enjoy delicious coffee and tea. Showcasing local produce and innovating food a little different than the traditional cafés in Whitby, the Deli Kitchen has a seasonal menu including a vast choice of yummy options for brunch and lunch but also tea time. In fact, the Deli serves fresh homemade cakes that pair perfectly with a cup of tea or coffee (undeniably one of the best in town)! For a cuppa with a view, you should definitely give the YHA tearoom a try. Located next to the Whitby Abbey in a stunning mansion and part of the YHA hostel, the YHA tearoom is a favorite for locals and visitors alike. Boasting stunning views over the town and the harbor, the YHA tearoom is open to hostel guests but also to the general public, so if you feel like enjoying delicious cakes and scones after visiting the next-door Gothic landmark, this is the place to go. Here you will find sandwiches and paninis, as well as sweets and cakes, served with a wide selection of hot beverages. Probably one of the most popular café in Whitby, Sherlocks Coffee Shop is housed in a stunning historical building. Set up as a shrine to Sir Arthur Conan Doyle’s most popular character, this little café is popular for its friendly service and excellent coffee. Visit the place on an empty stomach as the wide array of cakes and scones (massive) on offer are all worth a try, including the traditional Yorkshire cream tea. Pair your choice with a frothy cappuccino, a tea or a hot chocolate with plenty of marshmallow and you will leave the premises full, happy and satisfied. Looking for a way to upgrade your afternoon tea experience? Then look no further than Elizabeth Botham and Sons Tea Rooms. This historical, award-winning tea room started as a bakery where the finest ingredients were used to craft delicious treats, such as biscuits, plum bread and cakes. You will love the traditional atmosphere, the attention to detail and the scrumptious food. While it is an excellent place for breakfast, we highly recommend you reserve it for afternoon tea (have a light lunch), as you will be amazed at the wide choice and variety on offer. Located on Church Street, Marie Antoinette’s is a one of those places that at first may not look like much that will linger in your mind long after your visit. This lovely, cosy café serves a wide range of cakes perfect for afternoon tea. From a mouthwatering peanut butter cheesecake to the decadent lemon drizzle cake and carrot cake will impress any hungry visitor. Whether you feel like having a tea or prefer a latte or hot chocolate, you are bound to have a great time. Marie Antoinette’s can get easily busy but rest assured you can still find some seating upstairs. For any local, Sandgate Coffee & Delights cafe hardly needs an introduction. But let’s explain why. This pocket-size shop is a paradise for the sweet tooth. Sandgate, owned by the lovely couple Helen and Mark, has everything to please the public. Friendly owners, wide array of delicious treats and freshly baked goods. While the tea room may be small, it largely compensates its tiny size with lovely décor and the most delicious tea and cakes, which are all baked on the premises (do give the Whitby rascals a try). If you don’t have time to sit down, make sure to browse the menu and take some of its decadent desserts (looking at you plum bread) with you. You won’t regret it one bit. 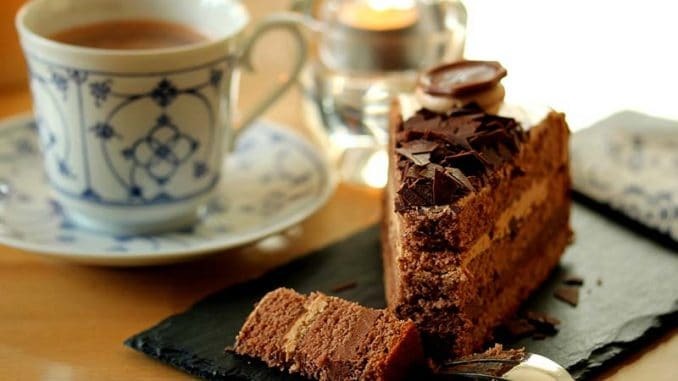 Extremely popular with locals as the first dog-friendly establishments in Whitby, Beckett’s coffee shop is another great address where to enjoy some delectable cakes and a cuppa. Here, you will find fresh, moist cakes, divine coffee and teas, yummy beverages as well as filling homemade soups. All this in a pleasant atmosphere, served with smiley and friendly staff. Although it may be a bit of the beaten track, you definitely need to give Beckett’s a try, especially if you are visiting with your four-legged friends. While Whitby is famous for its jet, it is no surprise you will find plenty of shops selling the gemstone in a variety of forms and shapes. However, the unexpected combination of a jewellery business with its own tea room will definitely surprise more than a few. This is however what you get at W Hamond Tea Room. For moments when you feel like tea and cake, a hearty breakfast or simply a great lunch, the W Hamond tea room located on the first floor of the local jet jewellery store, caters for all tastes and cravings. This unique tea room has an extensive menu featuring tasteful and freshly made soups, sandwiches, sponge cakes and cream teas. Furthermore, W Hamond Tea Room makes a point at accommodating all special dietary restrictions, making it an excellent stop for everyone. The perfect way to combine a bit of shopping therapy with delicious food. Loving these Whitby cafes? Pin them!